It&#39;s Monday! What are you reading?! Linking up with Jenn & Kellee for this weekly update! I had never read any of Siobhan Vivian's books and now plan on reading more by her! This is a family read aloud to my 2 children. I'm interested in reading this one because I've been told people LOVED it and then told by others that they HATED it. Definitely seems to inspire strong feelings! Already started this one based on recommendations from friends and it's oh so good! Share &amp;amp;amp;amp;amp;amp;amp;amp;lt;a href="http://www.goodreads.com/"&amp;amp;amp;amp;amp;amp;amp;amp;gt;book reviews&amp;amp;amp;amp;amp;amp;amp;amp;lt;/a&amp;amp;amp;amp;amp;amp;amp;amp;gt; and ratings with Sherry, and even join a &amp;amp;amp;amp;amp;amp;amp;amp;lt;a href="http://www.goodreads.com/group"&amp;amp;amp;amp;amp;amp;amp;amp;gt;book club&amp;amp;amp;amp;amp;amp;amp;amp;lt;/a&amp;amp;amp;amp;amp;amp;amp;amp;gt; on Goodreads. 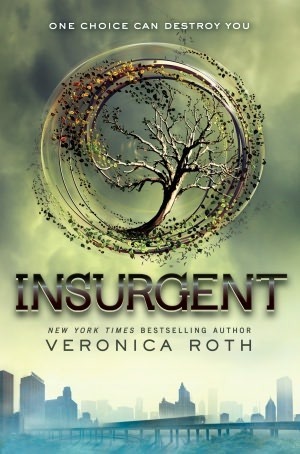 That's an interesting story about finding Insurgent. I've unwittingly been in that situation before but a bookstore wouldn't sell me the book, since the barcode wasn't yet able to scan and release the book! I don't think workers at Meijer had a clue the book had been stocked early. I felt a little bad, but not bad enough to NOT buy a copy. Great lists of books- read and reading- all ones I really want to read. I waited on Divergent until it was out in paperback. (still need to get it, though). I'm buried in my TBR pile! Angry Birds have landed at our library!